If you are in Asheville -- and that's always a great place to be -- check out Tim Barnwell's show at the Asheville Art Museum, called Hands in Harmony: Traditional Crafts and Music in Appalachia, and up through October 10, 2010. Tim is of course a distinguished photographer based in western North Carolina who has made a career of documenting life in Appalachia. 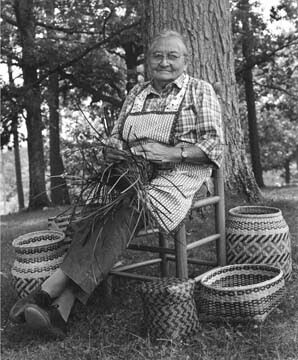 This exhibition includes approximately 30 black-and-white portraits of well-known -- and less well-known -- people involved in Appalachian music and crafts. Tim's work has been widely exhibited, including at the NC Museum of History, and published in books and journal articles. He has work in the permanent collections of the Metropolitan Museum of Art, the Asheville Art Museum, the New Orleans Museum of Art, the Greenville County Museum of Art, Western Carolina University, Mars Hill College and R.J. Reynolds Industries. His book, Hands in Harmony: Traditional Crafts and Music in Appalachia was published in 2009. Tim was also the juror for the Slow Exposures show in Pike County, Georgia, last year. This show is well worth checking out, especially if you are a fan of beautiful and well-seen black and white work.